The Bariatric Heavy Duty Rollator has been developed to give the larger person safety and security when walking. The Bariatric Heavy Duty Rollator is suitable for indoor or outdoor use and folds easily for transportation. 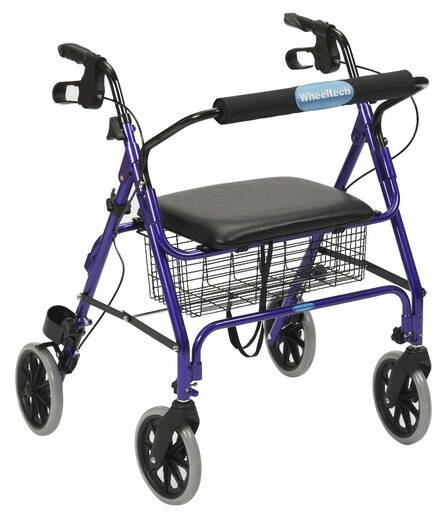 The Bariatric Heavy Duty Rollator has a removable basket under the flip up seat and is available in Red or Blue.